When you name your band The Bilinda Butchers a precedent is being set. There’s no him-hawing around. This San Francisco trio describes their band’s genre as “sad pop”, and has this to say about their sound, ” the group writes songs that contrast idealistic nostalgia with romantic uncertainty and sorrow.” Well there you have it. I wouldn’t call their new album Heaven “sad”, per say. I would call it melancholy and dreamy, with hints of ambient haze and maudlin regret. But hey, that’s just me. While naming your band The Bilinda Butchers is fun and all, I think a more accurate name would have been The Elizabeth Frasers. There’s definitely more of a Cocteau Twins sheen happening on Heaven, rather than the grinding, druggy, shoegaze sound of My Bloody Valentine. I guess The Bilinda Butchers has a better ring to it. “Ume” opens the album with an ethereal vibe as Juri Nakashima speaks quietly in a dreamy voice before the synths come in and sleepy vocals hang over the proceedings. The song has the wooziness of a Wish-era Cure song and vocals that would fit on a Pains of Being Pure At Heart track quite nicely. “Less Than” shifts gears dramatically, starting out like “That Thing You Do” with a Fountains of Wayne jaunty pop sway happening. From dream pop to indie garage pop rock in the blink of an eye. “Old Style Amami” shifts gears once again with birds chirping and a woman(presumably beautiful and unattainable) speaks sweet nothings as yet another stylistic shift occurs. A programmed beat pulses through the speakers as synths whoosh and float by your ears. It’s a mood piece that pushes gently into “Shadow Beat”. Keeping in the spirit of “Old Style Amami” at first with a bright, white light ambience before getting loud and rocking like a mid-90s Billy Corgan aspiring to be a late-80s Kevin Shields. Despite indie rock aspirations this track is too polished and slick to be categorized as anything but pop. This might’ve fit in nicely on The Cure’s Wild Mood Swings. “Golden House” sounds like Wild Nothing on a digital synth binge with some great female vocals, while “The Lover’s Suicide” sounds more down-to-earth with its guitar/bass/drums forwardness and “Boys Don’t Cry”-like drum beat. 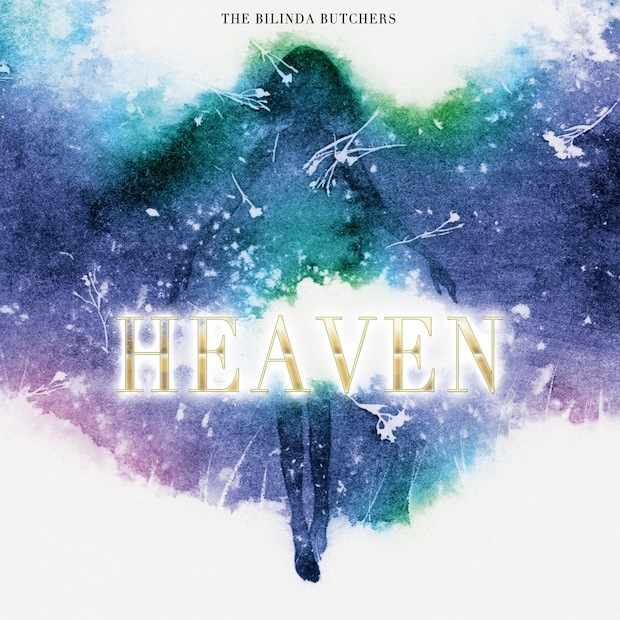 Throughout Heaven The Bilinda Butchers do a nice job of mixing dream pop, ambient whisps, and early 80s alternative rock in order to give a well-rounded listening experience. “Tanka”, “Edo Method”, and “The River Sumida” help to make this album more than just a tribute to a genre, and “Heaven Holds A Place” feels like a 80s dance party on a purple cloud in some other dimension all the while sounding exhilarating and lamenting all at once. Though their name could work to pigeonhole the band as a whole, at times I can indeed hear the resemblance in the dreamy waves of purple noise that wafts from the speakers. To my ears there’s a lot more going on than just a tribute to a beautiful Irish chanteuse named Bilinda Butcher. But if you’re going to name your band after someone, it might as well be Bilinda Butcher. Or Elizabeth Fraser.